My last oil change was about 9 months ago and 4k miles ago. I have an oil filter that is seized on. 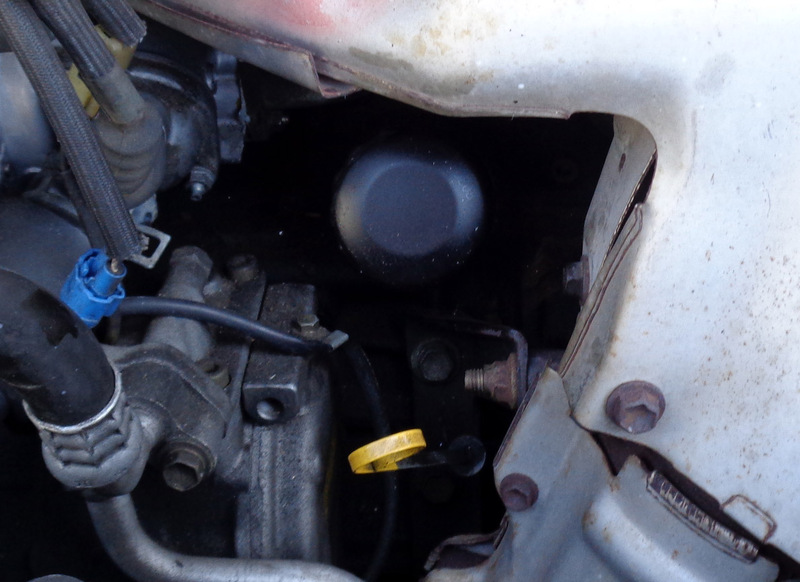 To remove it, the only type of oil filter wrench I can use is a cap type which needs a 12" socket extension. due to the exhaust manifold, coolant hose, and alternator blocking other style oil filter wrenches, eg strap wrench, from working. 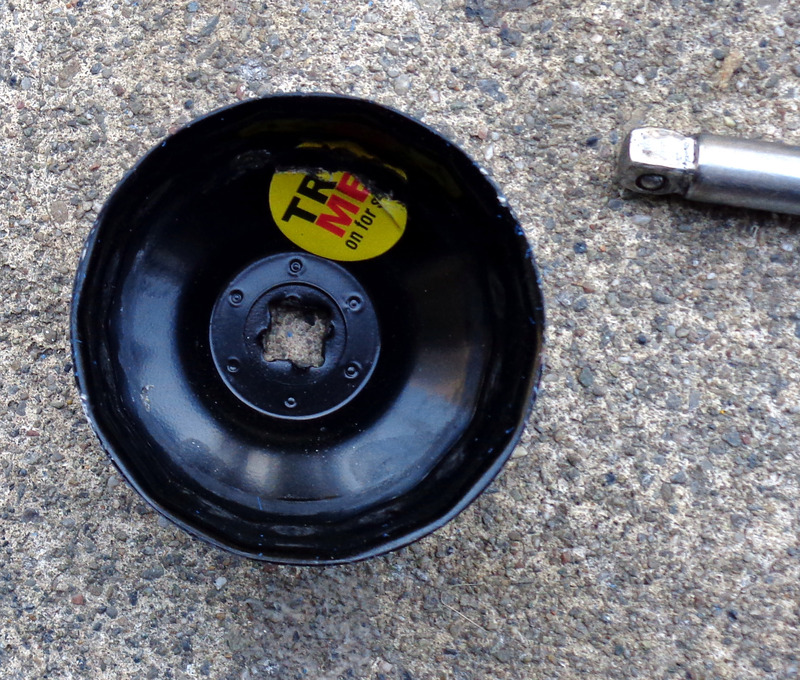 I stripped my last plastic oil filter wrench cap, so I have been using a metal oil filter wrench cap, which is rounding out at the socket extension connection and on the oil filter interface. Using an impact drill or socket wrench with a breaker/cheater bar don't loosen the wrench. Although I can reach the filter, I'm not strong enough to loosen it by hand. Any suggestions on getting the oil filter off? I'm using a Toyota/OEM oil filter. It has 14 flutes, the same as the oil filter wrench cap, but it's not a perfect fit. 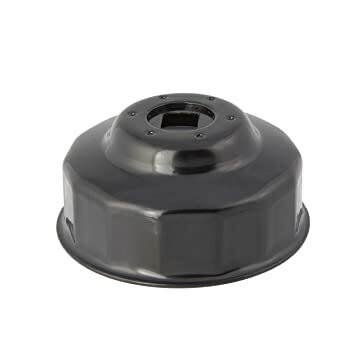 The oil filter wrench cap is a Pennzoil #19908 with 65/67 mm and 14 flutes, which O'Reilly auto says is the correct size. They don't have any other sizes even close. Any idea which oil filter cap is the right one? You want one that slides over the filter and when rotated with an extension uses a cam action to pinch the filter. These removal tools can be used with an length extension that extends out normal to the filter. Thanks! Is there a particular brand/model you recommend? No. Go to an auto parts or tool store and tell the clerk what you are looking for. Bring in the new filter. Below are examples of what you are looking for. It is also possible to make a wrench from an old belt. Walmart leaves drain cap off, engine seized!